SNC-Lavalin and AltaLink: Smoke and Mirrors | R.E.T.A. Many people in Alberta will read this news release with skepticism considering that SNC-Lavalin owns 100% of AltaLink and that SNC was criticized by the Industrial Power Consumers Association of Alberta during the Alberta Utilities Commission Heartland hearing of overcharging and possible “wolf-packing” (see this link). Some people will most certainly question the possibility of a tendering process being “open and competitive” when one of the bidders is the parent company of AltaLink, and has been providing EPC for AltaLink for many years. 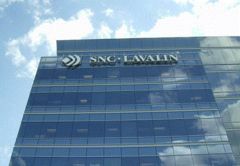 Others may suggest that SNC-Lavalin is simply looking for some positive news to counter all the negative press it has been receiving lately on corruption investigations by Switzerland, Tunisia and the World Bank, and lawsuits by shareholders and other construction companies. For more on SNC-Lavalin and AltaLink, see this link. ~ by RETA on May 1, 2012.